When it comes to good habits I picked up on the road, the majority of them apply to health and nutrition. It is a strange thing to zero in on, but since returning to the United States, I have taken a closer look at what we eat, how much we eat and even the ingredients we put inside our meals. The irony is that Tara started getting into health, nutrition and fitness a few years before we left, but I didn’t pay too much attention to the information she was learning and sharing. Fast-forward to me losing 40 pounds by the end of our RTW trip through increased exercise and an improved diet and suddenly all of this seems vitally important. When we first got back, I wrote an article about my weight loss. This was motivated by my thoughts of, “Wow, I actually lost around 40 pounds,” but the post lacked the contrast of life on the road versus full-time living in the U.S. In this case, it’s been about 9 months since we’ve returned and I am better now able to spot the good habits we picked up while traveling, as well as the ones that can be applied to anyone looking to improve their health. Here are a few of my top tips. First and foremost, you are what you eat. Every time you step into a restaurant you are giving up control over your diet. Sure, you can see the ingredients listed on some menus, but the preparation and details of where your food came from are not always known. It’s tough to make sense of the amount of calories, fat, sodium and sugar you can and should consume in a meal, but when I am in my own kitchen and I see a recipe call for 2 cups of sugar, at least I can adjust to what I think is appropriate and desirable for myself. This is one of the reasons Tara and I rarely eat out (plus, we save a ton of money by making our own meals). Also, we stopped eating meat years ago, and while some restaurants have begun catering to vegetarians, it is still not as prevalent as it could be. Besides being able to choose what you put into your dishes, cooking at home allows you to control your portion sizes. 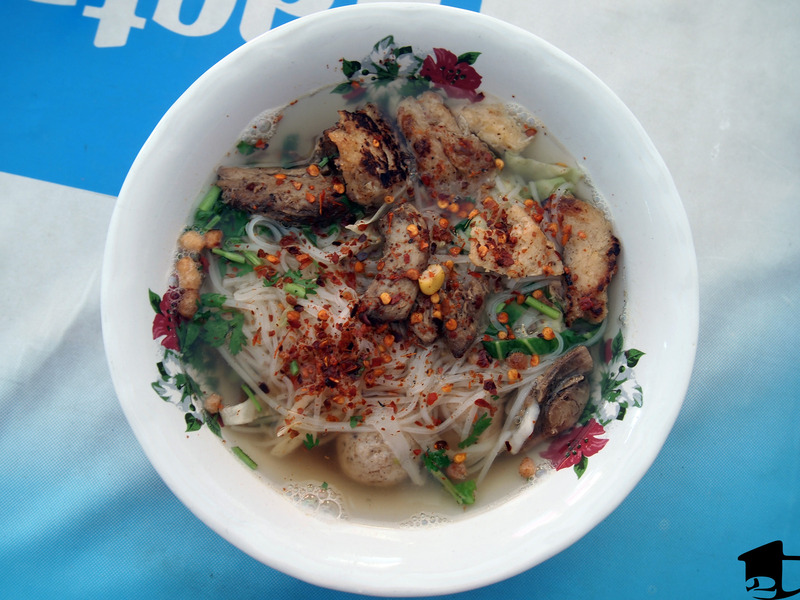 The second half of our trip had us traveling around Southeast Asia, where we ate like gluttons and yet were losing weight. Our diet for the last 5-6 months of our trip was mostly fresh fruit and vegetables and hearty noodle soups that were made-to-order. Eating this way contributed to me slimming down and feeling healthier overall. When you consume a pint (or liter) of broth, your stomach may feel like it’s at its bursting point, and as long as you didn’t load the soup with fats, salt, processed food and other generally less-healthy additives, you’ll feel full while being nourished (here’s our homemade vegetable broth recipe). Yet, even though we ate large bowls of soup, everything else came in reasonable portion sizes. Day after day and month after month of eating this way trained our minds and bodies to accept this as the norm, and today we’re able to continue this habit because of our experiences in Southeast Asia. Besides soups, fresh ingredients have become the backbone of our diet. Instead of going on grocery store shopping sprees that result in overflowing cabinets, we buy only what we need, when we need it. We always have bases for dishes on hand (like beans, rice, quinoa, or cous cous), but we have shifted away from buying food “just in case we need it.” This ties into what I said earlier, “you are what you eat.” Processed foods tend to contain preservatives to keep them from spoiling. So while they have the convenience of lasting longer than fresh produce, you are ultimately consuming those chemicals. By cutting down on the number of preservatives you ingest on a daily basis, you’ll benefit from a nutritional standpoint and generally feel better overall as well – perhaps having more energy, feeling more alert, and other positive benefits. A lot of those preservatives come wrapped in snacks, too. Chips, cookies, candy – the easy in-between meal snacks that don’t require any preparation but must be eaten as soon as possible because of your hunger. All of those mindless snacks not only have tons of preservatives, but in general also aren’t contributing to your body in a nutritional manner (what antioxidants, vitamins or minerals are found in crackers?). During our trip, fruit and vegetables were readily available and inexpensive and therefore our go-to snacks (this is subjective, but what does good health cost to you anyway?). You can get into the same habit by finding a healthy alternative snack that you enjoy, then make that your go-to instead of processed food (Try this bean sprout ponzu salad recipe). Our travel-day snacks in India: crystallized ginger, dried apricots, bananas, pomegranate seeds, and freshly made tapioca chips. Besides changing what we eat, we have altered how much we eat, too. Before our trip, dinner every night was like an all-you-can-eat buffet. Tara and I would go for seconds and thirds. This was okay for Tara because she was exercising nearly every day. I, on the other hand, was not. Sure, I would walk a couple miles every day because my commute required it, and I thought this was enough. But the sad fact is that walking was not the type of exercise my body needed to keep my weight and overall health in check. I thought because I would walk a lot and had stopped eating meat and poultry that I could eat more of everything else and be okay. But my weight proved that this wasn’t the case. This dovetails into the last health-related good habit I picked up: exercise. Before leaving on our trip, Tara voiced her concern that traveling would make exercise difficult. This did not even register with me, but I did offer to work out (read: jog) with her to make sure she had someone to watch out for her safety. When the trip began, I wasn’t running with her on a regular basis. Exercise hadn’t been a priority for me, so it was difficult to get into that mindset. We felt safe throughout Europe, so Tara often jogged by herself. As our trip progressed and we traveled to continents we had never before visited, like Africa and Asia, I began joining her for nearly every run. It is difficult to convey how or even why my mentality changed, but at some point I wasn’t only running to keep Tara safe – my motivation had become personal. I felt better on days I exercised, and I felt something missing on days I skipped a run. A strange dichotomy formed, and I found that working out gave me energy throughout the day. As our trip progressed, Tara no longer needed to push me to run, because I wanted to. By the time we returned to the U.S., our jogs had become fixtures in our day, and we just accepted that we would go for a couple miles. We weren’t keeping track of distance, but lazily keeping an eye on time. 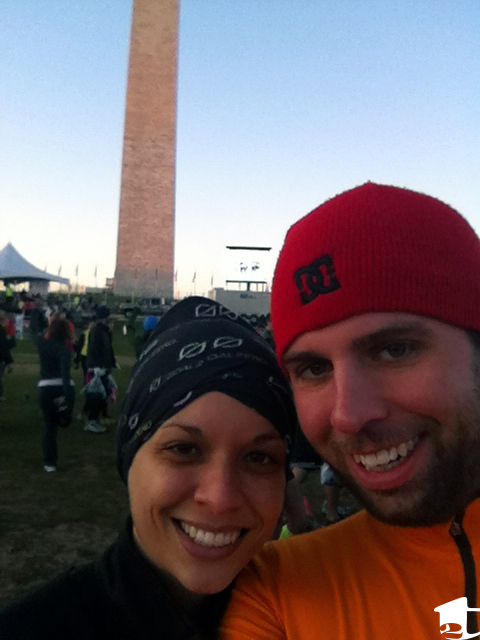 Then in December (after being back for 4-ish months) we signed up for the Cherry Blossom 10-Miler and everything kicked up a notch. There is no greater motivator than money (unless you’re a hopeless romantic and then the correct answer is love). Signing up for the race meant we were paying for the “privilege” to run 10 miles. I had run track in high school, but aside from the casual jogs I had been participating in with Tara, this seemed insane. Yet, the race was a motivational carrot to train harder and run faster and further. When the race finally took place in April, we ran nearly all of it side-by-side, crossing the finish line only a fraction of a second apart. With the race now more than a month in our rearview, I can say that setting a goal (like shooting for a certain distance or time, hitting a certain weight or cholesterol level, etc.) is a great motivator, but ultimately this is not enough to change your diet or get you to exercise. Even if you start on this path, it can be easy to create excuses or become disheartened by not seeing immediate results. After all, everything I have mentioned requires allocating more time for food preparation, grocery shopping, and exercise. That’s why having a supportive partner to exercise with, a sous chef to help in the kitchen, and an extra pair of hands to help with the groceries is so important – Tara was like my training wheels. She conditioned me and helped coach me to improve my diet and exercise. Without this guidance, some of the good habits we learned on the road may never have stuck. Sometimes, you really can’t just do this by yourself. **I’m not a trained dietician, so while these changes worked for me, they may not work for you. Frankly, this article won’t even scratch the surface of healthy changes you need to implement in your life if you are suffering from obesity, but I hope they are small steps you can start with. This entry was posted in Points of View and tagged advice, backpacking, diet, exercise, health, healthy living, inspiration, jogging, long-term travel, narratives, new chapters, nutrition, reverse culture shock, rtw, running, thoughts, tips, travel, United States, weight-loss, working out. Bookmark the permalink. Veganism? That’s impressive. How has it been going? Do you miss anything and what has been the most difficult part of this dietary change?